Today, the OnePlus 6T is officially launching in two of the world's largest markets - the USA and India. The hot new Android phone can be ordered in two finishes - Midnight Black and Mirror Black - the latter version being glossier than the former. Two shades of the same color aren't exactly what we would call a diverse assortment. However, it looks like there's a real possibility of the company introducing a third, more exotic variant of the 6T in the near future. According to a recent /Leaks post, OnePlus actually made the mistake of listing "OnePlus 6T Thunder Purple" as an option on its official support page. What appears to be an Amazon listing for the purple version was also attached to the post in order to substantiate the claim. Finally, it is stated that the new color version will be available for pre-order on November 30. Now, we did a cross-check and we found no trace of a Thunder Purple 6T, so we can't confirm if the information is reliable. 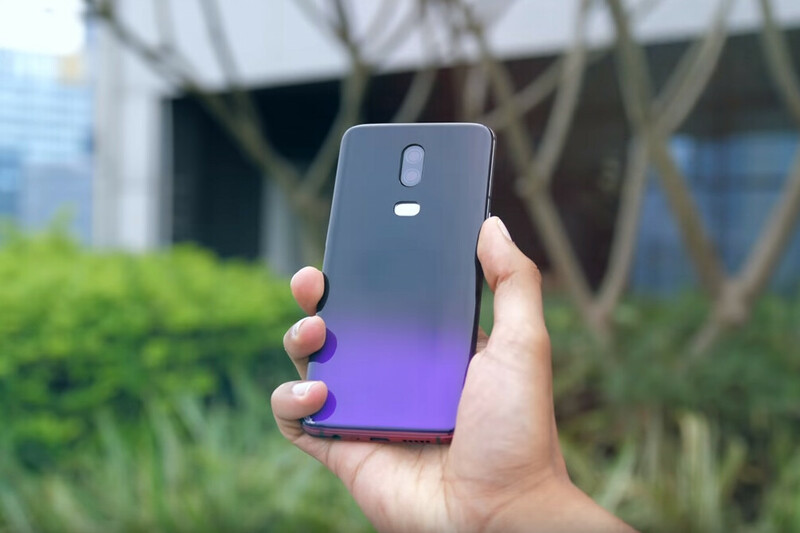 However, we do know that OnePlus actually made a purple prototype for the OnePlus 6 thanks to a recent video from YouTuber Mrwhosetheboss. You can check what the boss has to say about these prototypes in the video below. Besides, OnePlus has released 3 distinct color variants for the OnePlus 6 and 5T, so it's not too far-fetched to assume that we could see a new finish for the company's latest flagship. Purple seems like a good candidate, especially when the partnership with T-Mobile is taken into account. Still, take this information with a pinch of salt. Would you like to see a Thunder Purple OnePlus 6T? Let us know in the comments! That would be cool. And hope that OnePlus moves to these gradient finishes permanently in the future. Stupid looking. Buy a case, you can change the look as often as you want..